At the start of the new millennium, many performance enthusiasts went through a hard breakup with Honda. After years vested to one brand, the relationship between enthusiast and Honda went stale shortly after 2000. Honda simply stopped building Civics for enthusiasts. Within the DSPORT staff, we witnessed firsthand the parting of longtime Honda lovers and their make of choice. 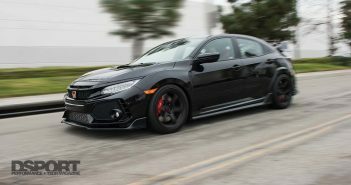 Most staffers replaced their Honda Civics and Acura Integras with EVOs, STis, and even European models such as the GTI. With the exception of the S2000 roadster, there has not been significant reason to get back together with Honda for those that made the change some 15 years ago. To answer the question of what contributed to the fallout between Honda and performance enthusiasts, we should look at the highs that preceded the lows. 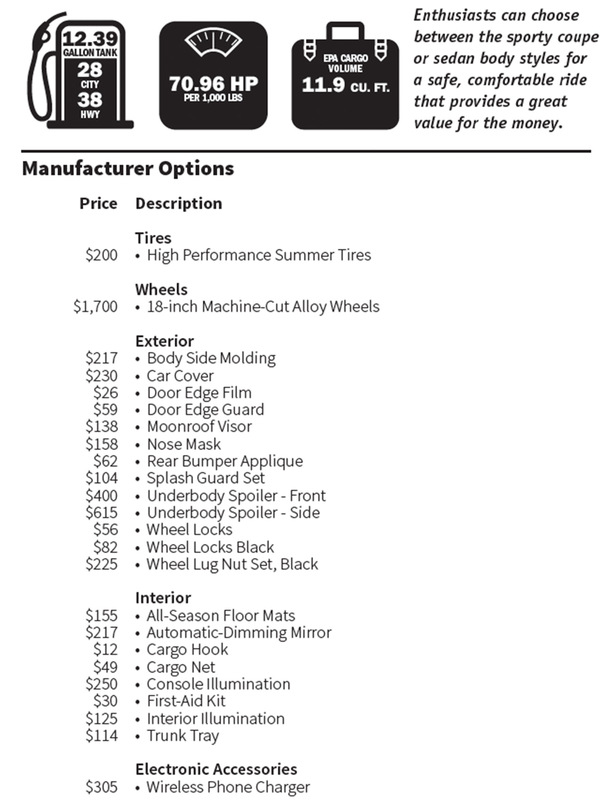 During the height of Honda allegiance, aftermarket support was rampant for just about every Honda platform and the ability to modify Hondas was relatively affordable while also being extremely accessible. With Honda’s modular approach to drivetrain design, enthusiasts could easily swap engines between different chassis, with the most popular choice being the punchy B-series engine. Later, Honda itself even blessed the US market by introducing the sixth-generation 1999 Civic Si with the free-revving B16a engine. The introduction of this vehicle acted to raise the bar for the Honda community in many respects including further perpetuating B-Series engine swaps into other models that were factory equipped with D-Series variants. However, as this peak persisted through 2000 and 2001, Honda didn’t capitalize on that high by introducing another Civic model that garnered as much attention as the EK chassis Si. With a lull in excitement and other turbocharged options available, a number of would-be Honda owners tested the waters elsewhere. While the sixth-generation Civic is arguably the best iteration by the standards of many diehard Honda enthusiasts, the seventh, eighth and ninth generations kept the Civic’s nameplate alive. Unfortunately, the Civics got bigger, fatter, safer and less exciting compared to the previous models. Fortunately, the 10th generation Civic is the first to reignite broad interest in the Civic lineup from a performance perspective. 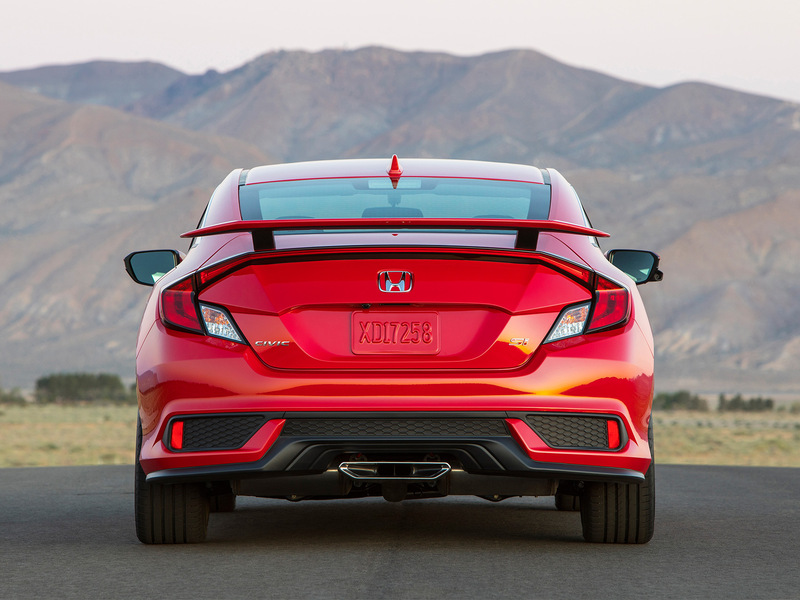 The 10th-gen is based on an all-new global platform that allows Honda to offer a Civic that is lower, wider and longer making way for increased interior space, a lower center of gravity and improved track width. 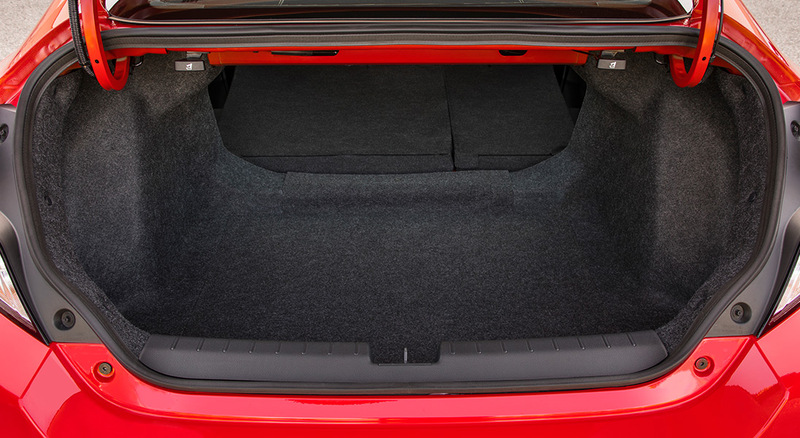 Other benefits of the new platform include a 25-percent increase in torsional rigidity all while keeping the weight of the car under 3,000 lbs. The structural advancements matched with the newest technology in engine performance has resulted in a truly capable vehicle. Fortunately, Honda engineers took full advantage of the improved features of the 10th generation Civic global platform. 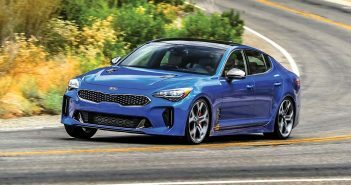 They’ve equipped the coupe and sedan with a freshly-designed 1.5-liter L15B7 engine that employs both a direct-injection fuel strategy and a factory forced-induction system. Honda also gave the nod to those looking for a sporty driving experience by offering the EX-T models with a six-speed manual gearbox. 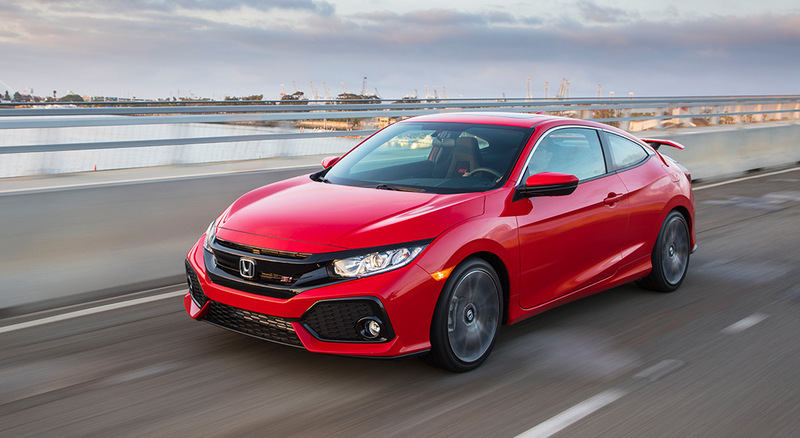 A turbocharged Civic EX model is just the tip of the iceberg for Honda’s current Civic offerings. With the EX-T available since 2016, the performance community has been frothing at the impending arrival of the Type-R variant and an all-new Si model that bridges the gap between the EX-T and Type R. Historically, the Si has always been an attainable performance offering in the sport compact segment for Honda. It delivers performance and styling beyond what the EX is capable of and is well rounded in all respects making it fun and versatile at the same time. The all-new 2017 Civic Si is the eighth-generation of the Si nameplate. As such, it receives exclusive treatments to the interior, exterior and drivetrain to stand out from the other trim levels. 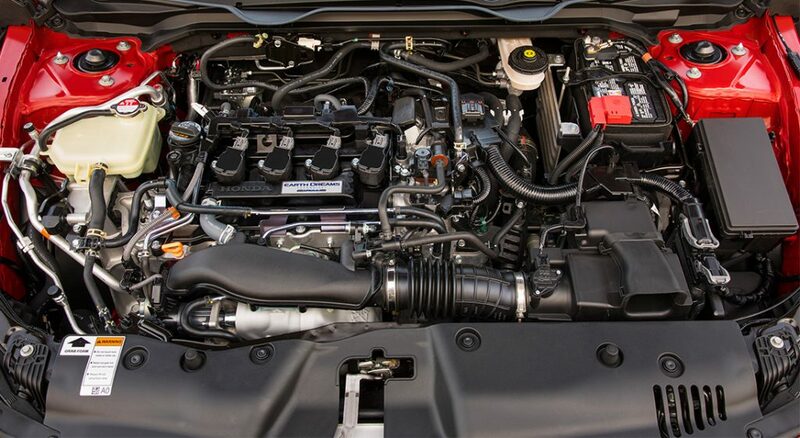 At the heart of the new Si sits a 1.5-liter turbocharged high-output engine producing 205 horsepower at 5,700 RPM and 192 lb-ft of torque between 2,100 to 5,000 RPM. 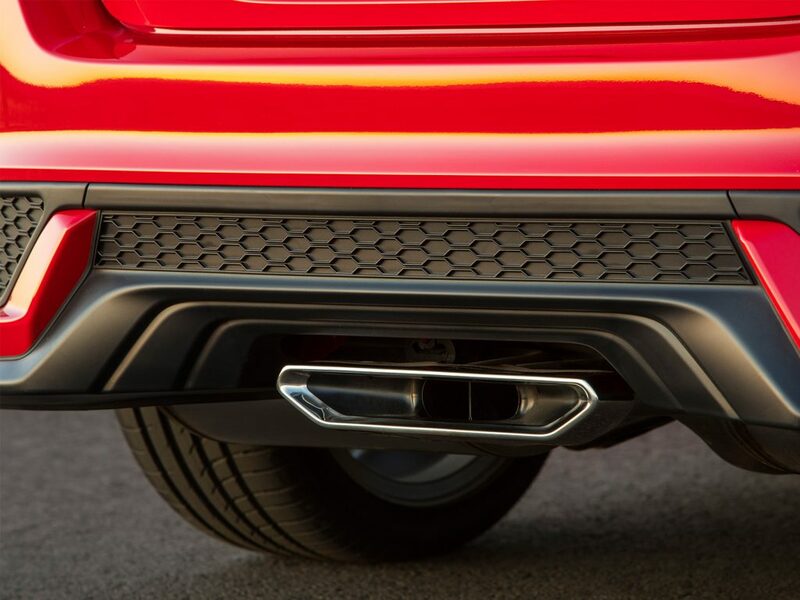 This translates to a 31 hp and 25 lb-ft jump in engine performance in comparison to the turbocharged EX model. According to Honda, the additional power is generated by a higher-flow version of the Mitsubishi TD03 turbocharger used in the EX-T. The Si delivers power linearly and feels very smooth with minimal time needed to reach full boost. 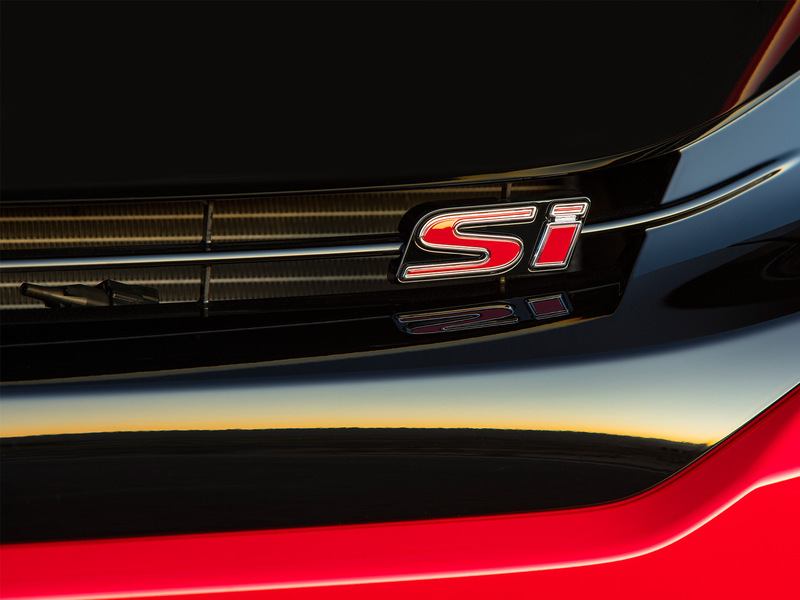 With 200+ horsepower on tap, testing the performance of the Si is as easy as flipping a switch. A two-mode driving feature allows the driver to toggle between Normal and Sport modes. 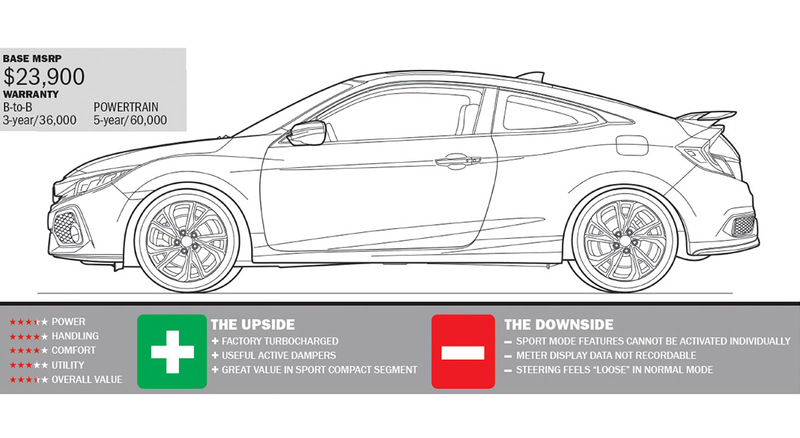 Hitting the Sport switch affects the car’s steering, adaptive dampers, and throttle response. The changes to the steering were the most noticeable, instantly enhancing the steering feedback and tightening up the response. This is accomplished through a dual-pinion electronic power steering rack with a variable gear ratio. 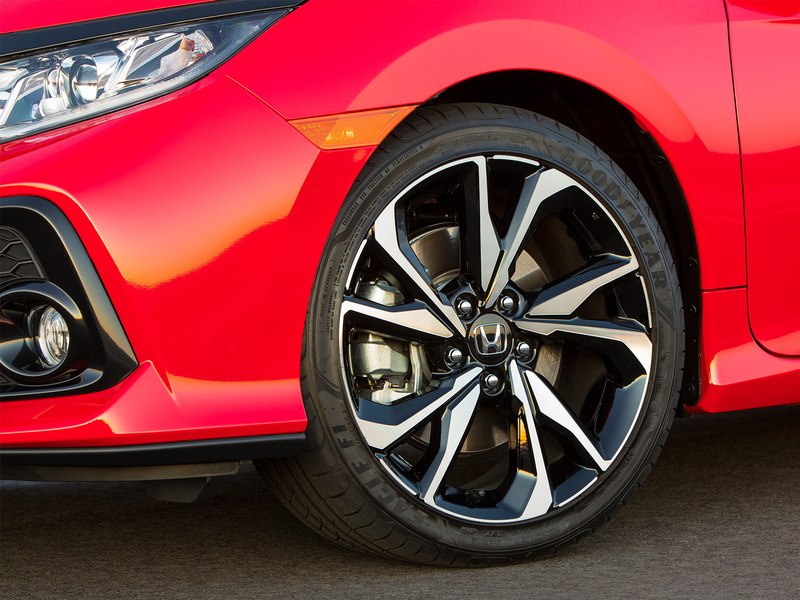 The unit was selected specifically for the Si to match the wheel and tire selection and in anticipation of the vehicle being driven aggressively. The adaptive damper system also encounters substantial differences between Normal and Sport modes. Sport mode electronically activates a shock-mounted solenoid that increases the resistance to the shock which then increases the damping force for a stiffer ride. While the Sport setting gives way for improved handling, it works in unison with the Si suspension components that are upgraded from the EX-T model as well. 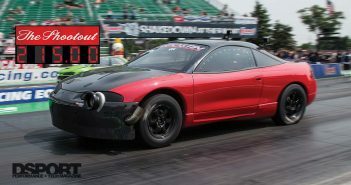 The Si features heavier spring rates in the front and rear, larger-diameter sway bars, and solid bushings which are the same bushings used in the Type-R. The third component of the Sport setting is the throttle response that works through enhanced power delivery maps. The Sport map with optimized fuel, boost, and timing calibrations effortlessly allows the driver to increase the Civic’s acceleration. These changes are matched well to the Si’s six-speed manual transmission which comes standard with a helical limited-slip differential. While the two-mode driving switch is an excellent addition to the Civic, it lacks customization between the three components of steering, damping, and throttle. In other words, it would be great to be able to selectively choose just the steering enhancements without activating a stiffer ride. This was most noticeable during highway driving in which a smooth ride is wanted as well as tight steering, but the car wouldn’t allow both simultaneously. Another convenient customization setting would be to default to the Sport mode. Currently, the Si always defaults to Normal driving mode and it is necessary to hit the switch for Sport. We’re curious to see if these features can be accessed through ECU flashing software or if other aftermarket solutions will arise. Inside the cabin, you’ll find the same clean styling that you expect from the Si. As the centerpiece of the interior, a 7-inch display allows access to audio and connectivity with Bluetooth, USB, Apple CarPlay, Android Auto and other apps. A sleek black and carbon interior trim is accented by red stitching around the seats and other components. 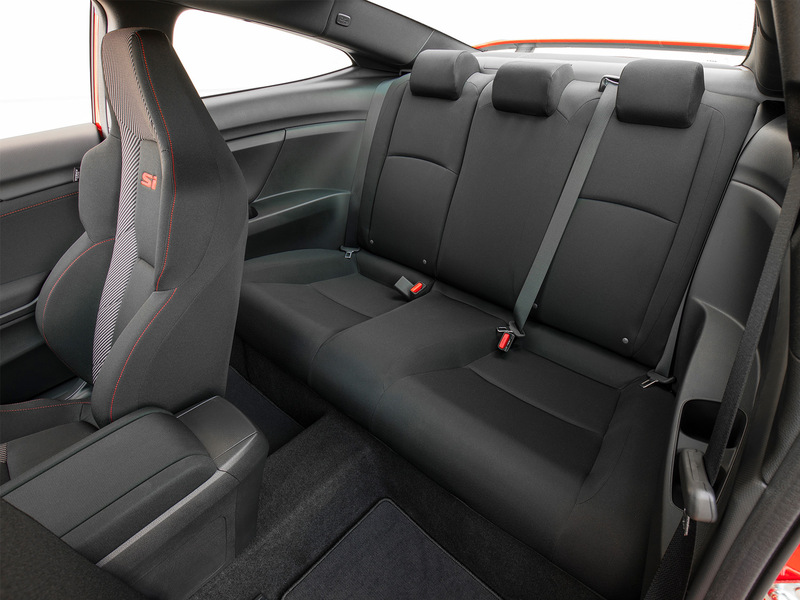 The front seats themselves are specific to the Si, designed with increased lateral support for more aggressive driving. The side bolsters are actually reinforced with the metal framing of the seat instead of just additional foam which makes them sturdy and supportive even when pushing through corners. With performance in mind, Honda also added Si-specific meter display parameters including a boost gauge, rev indicator, G-meter, and lap timer. Although this data is not logged, it may be possible to capture the data through an aftermarket component later and make good use of the information in racing scenarios. 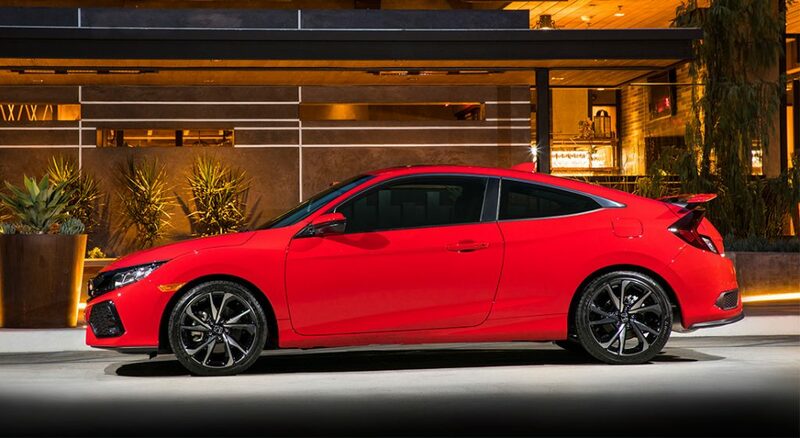 Outside the vehicle, the Si differentiates itself with a sporty piano black grille that matches the slightly more aggressive lines of the front and rear bumpers. The 18-inch wheels are also exclusive to the Si and are wrapped with wide 235/40R18 rubber with the option for Goodyear Eagle F1 summer tires. 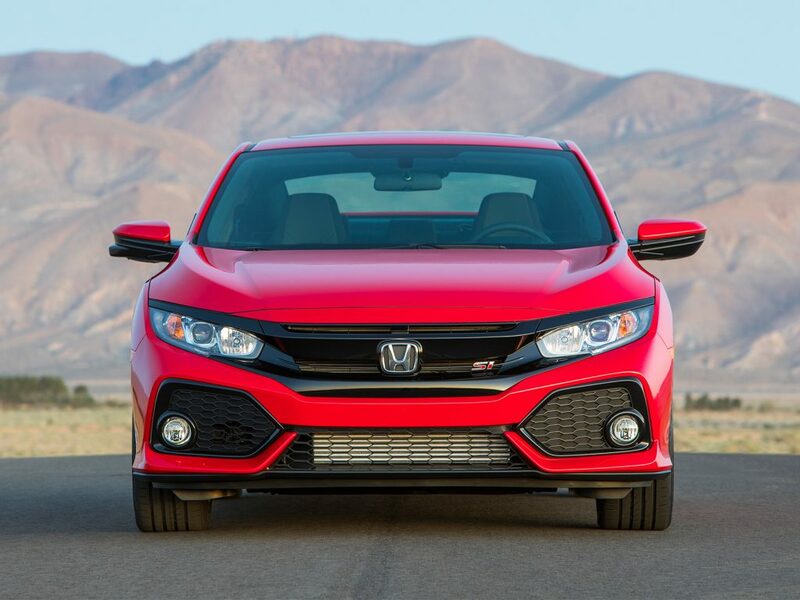 With the arrival of the Si and anticipation of the Type-R, many are asking if these new models will revive Honda performance and bring back some enthusiasts that are now driving others makes. We hope that the answer is yes and we’re ready to answer more questions about these Civics’ performance. Just a few issues ago, we tested an EX-T with a round of bolt-on upgrades and easily generated an additional 30+ whp and 50+ lb-ft of torque. Assuming that the Si responds similarly to modification, we believe the Si will benefit greatly from basic bolt-ons and beyond.